Collins Class Submarine. Image via Commonwealth of Australia, Department of Defence. Australian industry has the capability, capacity and determination to meet the Naval Shipbuilding Plan challenge, according to peak industry body Ai Group Defence Council. The council has called for greater recognition of the existing local capabilities, while pushing for a "more considered debate" focusing on a national approach to further building that capability and delivering outcomes. "Australia’s industry is committed to delivering defence capability on time and on budget, using local capabilities and local workforce to the fullest possible extent," said Ai Group’s chief executive Innes Willox. "The Naval Shipbuilding Plan is larger and more complex than either the Snowy Hydro Scheme or the National Broadband Network. It is the largest, most complex and technically difficult manufacturing challenge Australia has attempted. We need all levels of government, Defence and industry working together to successfully deliver these critical capabilities, using existing skills and creating new high-end jobs and opportunities across the country." Willox said the debate over percentages and which state has won what projects is irrelevant and the focus must remain on creating a national project. 'There has been significant debate over state-based issues and the percentage of Australian industry content," Willox said. "We must take a national view of the Naval Shipbuilding Plan, and the best way to incorporate Australian industry into supply chains. Focusing on local content percentages at too early a stage will not get the best results for Defence, industry, the workforce or taxpayers. "The critical issue is for Defence to take a thorough and comprehensive view of Australia’s capability and industrial goals and objectives and match them to our competitive industrial and workforce capabilities now and as they develop over the shipbuilding program, which will last for decades." The Ai Group's chief executive echoed the government's sentiments of the shipbuilding plan bringing a once-in-a-generation opportunity to develop a sovereign capability and opportunities for future exports in the defence maritime sector. "The continuous shipbuilding plan offers a once-in-a-generation opportunity for the Commonwealth to use its direct purchasing leverage to not only acquire the best capability in the world but also require the winning tenderers to transfer technology, create in-country capability and design expertise, and forge pathways to export that will deliver jobs and economic benefits for decades to come," said Willox. "These are the critical areas of focus for Australian industry. "Once Australian involvement is agreed across systems, platforms and time, it should be rigorously enforced and industry will deliver. "We should take confidence in the fact that Australian industry already has significant runs on the board across successful Defence programs and innovations, including exporting to the world. Australian industry was successful in the Anzac shipbuilding program and we can do it again. Recent results in the Air Warfare Destroyer program and sustainment of the Collins Class submarine demonstrate we can perform and deliver competitive results, particularly where there is program continuity. 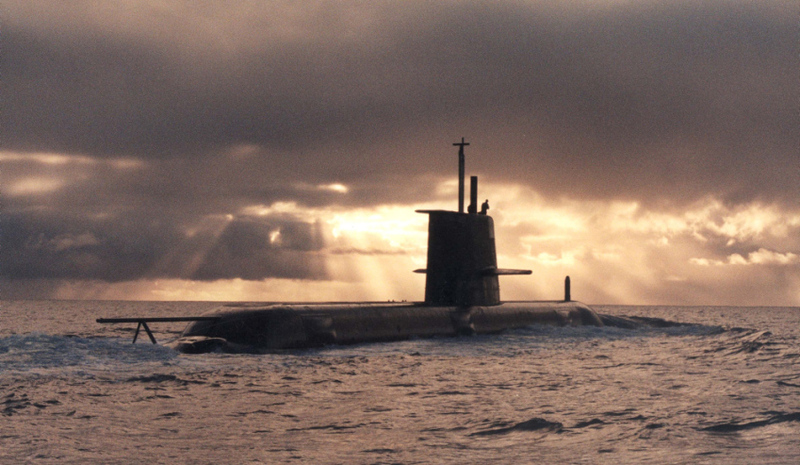 "The Naval Shipbuilding Plan is too important to be derailed by simplistic approaches. Australian industry stands ready to deliver these capabilities which are so vital to our national and economic security." The Commonwealth is spending $89 billion on naval shipbuilding projects. Naval Group was awarded the $50 billion Future Submarine Project in 2016, while the successful tenderers for the $35 billion Future Frigate Project and $3 billion Offshore Patrol Vessels project are yet to be announced.